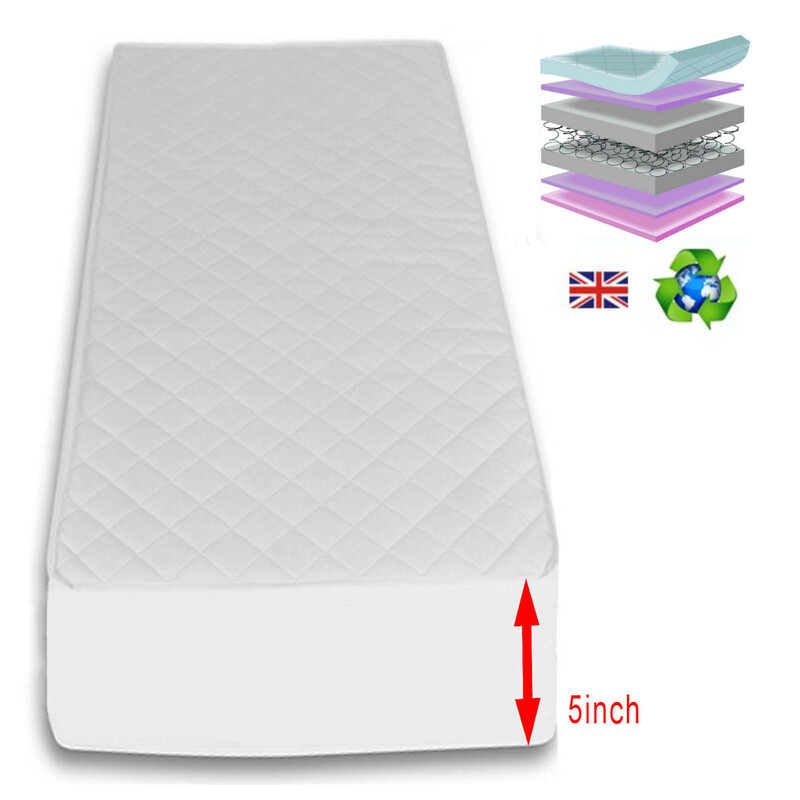 Includes FREE Luxury Maxi Air Cool Safety Mattress!!! 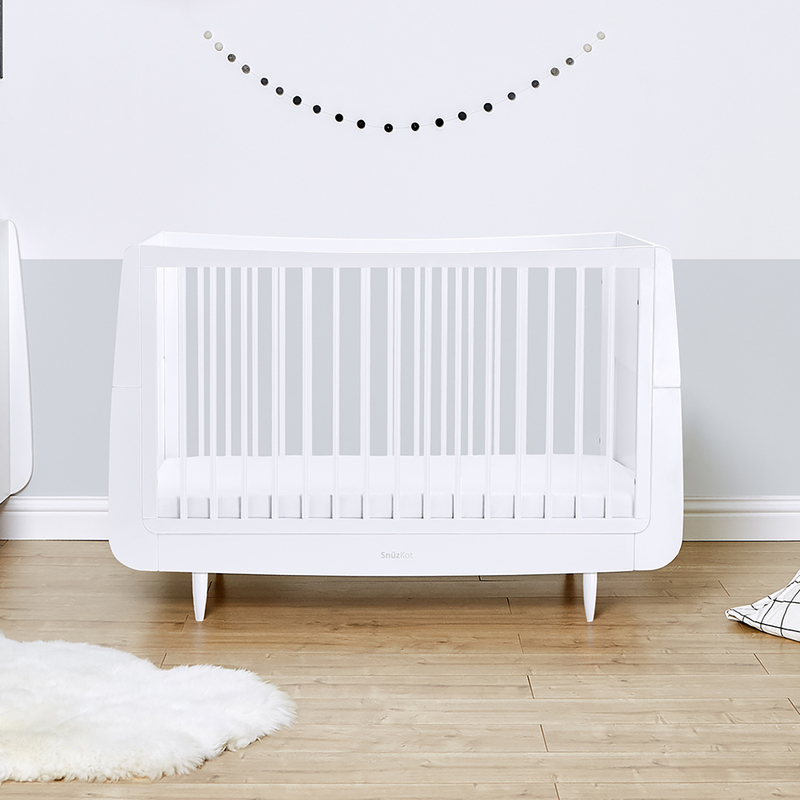 Part of the popular SnuzKot collection, the Skandi Cot Bed is modern and minimalistic in true Scandinavian style, which is sure to help create a truly unique and stylish nursery for you and your baby. 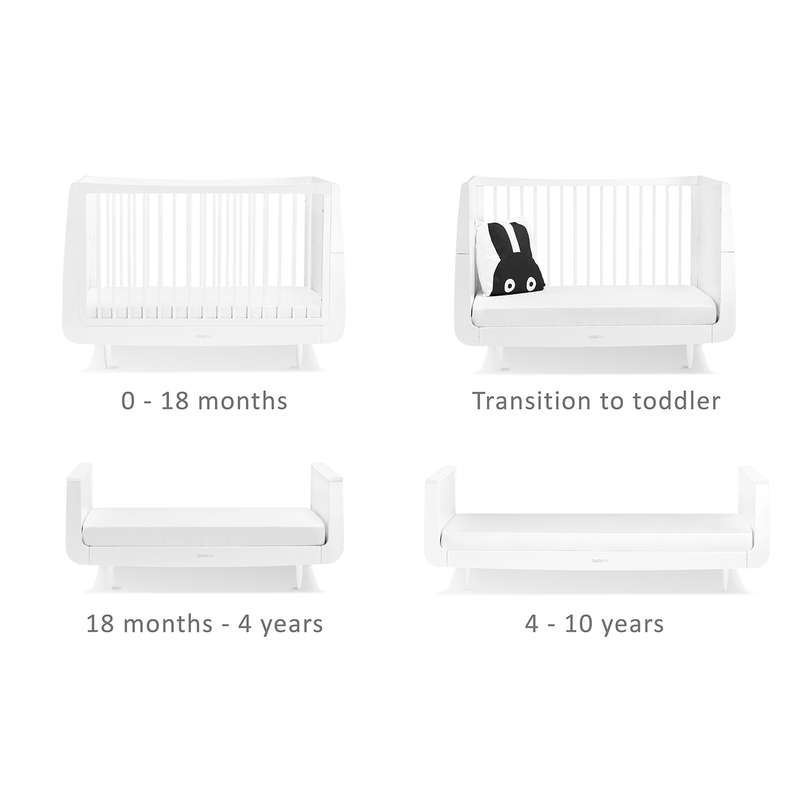 Converting easily from cot to toddler bed, the Skandi safely accommodates your child from birth to 4 years old, and can even be extended to a junior bed (extension kit available separately) so that your child can keep the bed they love for up to 10 years, lasting much longer than a standard cot bed. 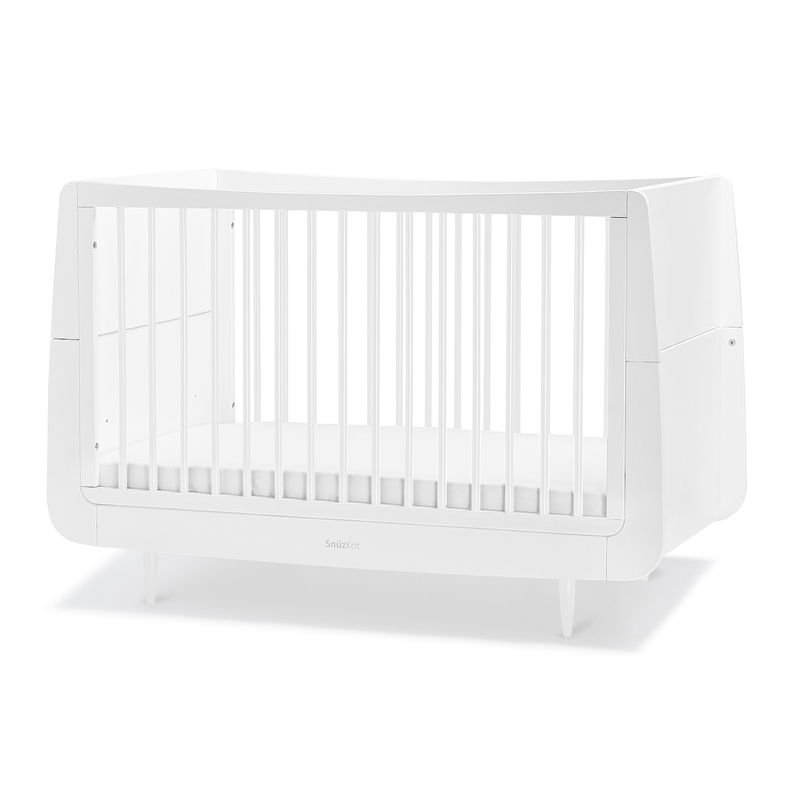 The highest of the 3 mattress positions makes it much easier to lift baby in and out of the cotbed, and as they grow and learn to stand, the base can be lowered to help prevent them climbing out. 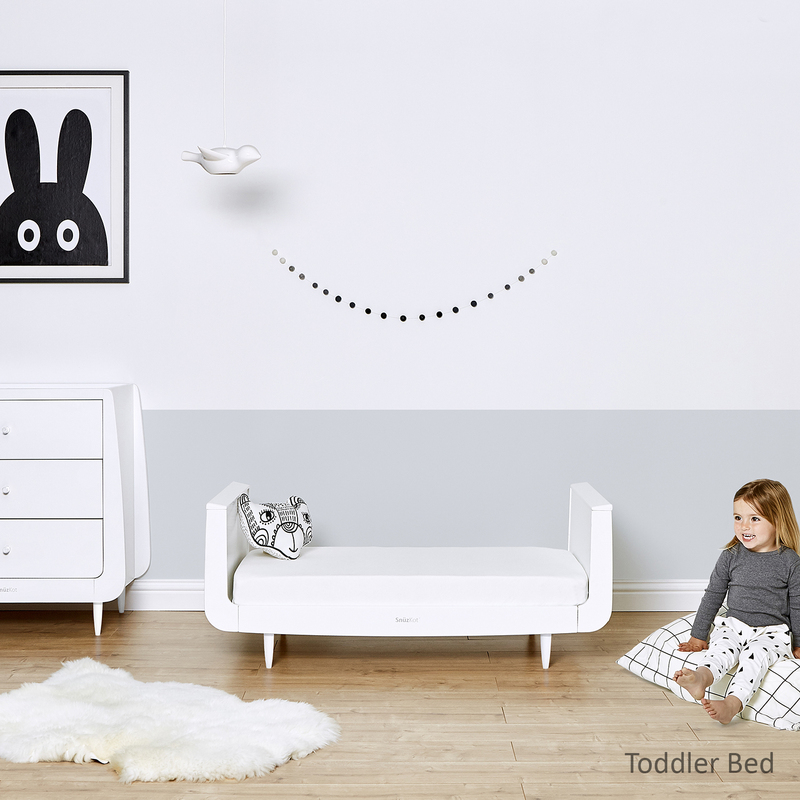 When converted to a toddler bed, the Skandi has a low level access height making it easy for them to climb in and out. 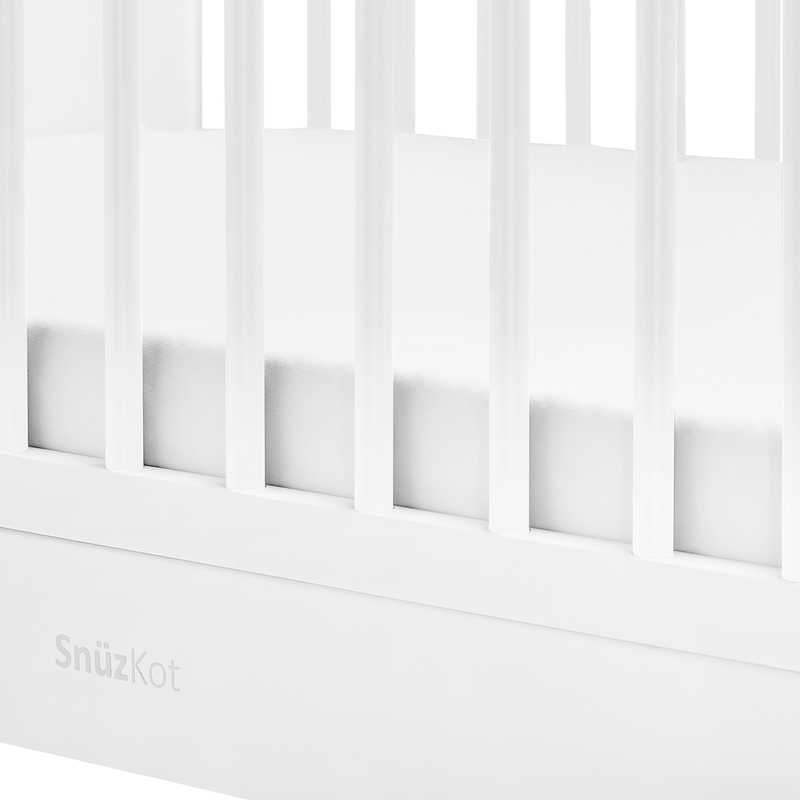 Designed to stand the test of time, all SnuzKots are crafted from natural beech wood, without the use of MDF or veneer. 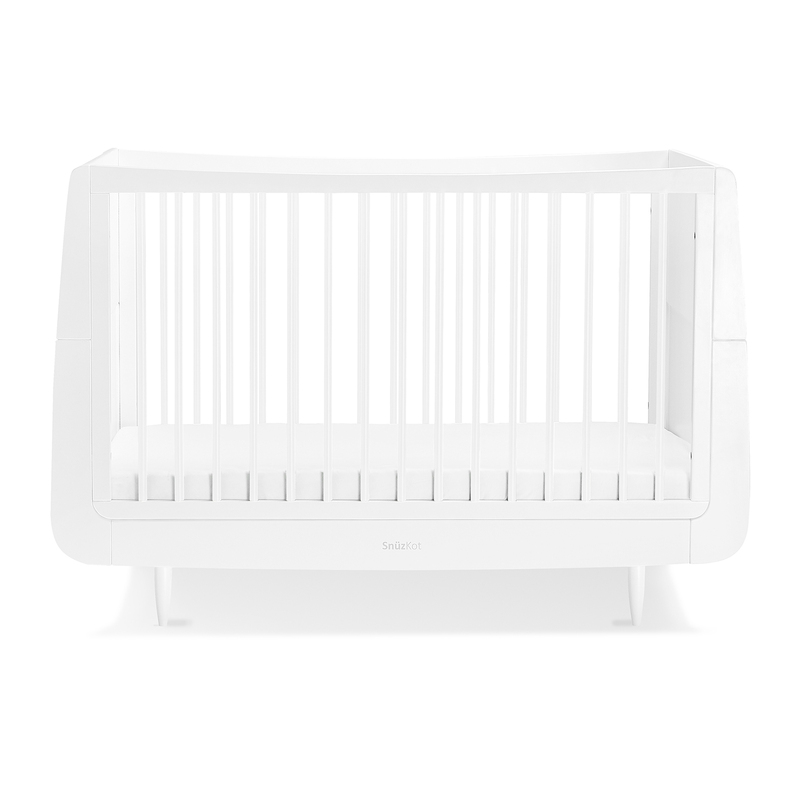 Luxuriously thick at a sumptuous 5 inch depth, the 4baby Maxi Air Cool cot bed mattress is manufactured in the UK with mini spring units encased in a body of high density foam with an additional layer of luxury. The coverings for the Maxi Air Cool mattress not only are fully breathable, hypo-allergenic, removable and washable, but also have special cooling layers to help air circulate in and around the mattress (and your child) through its clever honeycomb fabric spacer system, which helps to disperse heat and moisture away from your child. The mattress helps provide a cool, dry and comfortable sleeping environment, which equates to a more peaceful and undisturbed night’s sleep.